[PSVita] Multidownload-Vita v1.00 Released » Brewology - PS3 PSP WII XBOX - Homebrew News, Saved Games, Downloads, and More! Team ONElua has released Multidownload-Vita version 1.00 for the PSVita. - Added automatic network update. app will now notify you when there’s a new update.  Download Multidownload-Vita from the Brewology PSVita Store.